6,195 fans across the country made the pledge this year. 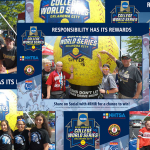 Each had a chance to win one of two grand prizes, a trip for two to the 2018 NCAA Men’s Final Four and a trip for two to the 2018 NCAA Women’s Final Four, provided courtesy of the NCAA and TEAM Coalition. The Men’s Final Four prize winner was Chris Brady. 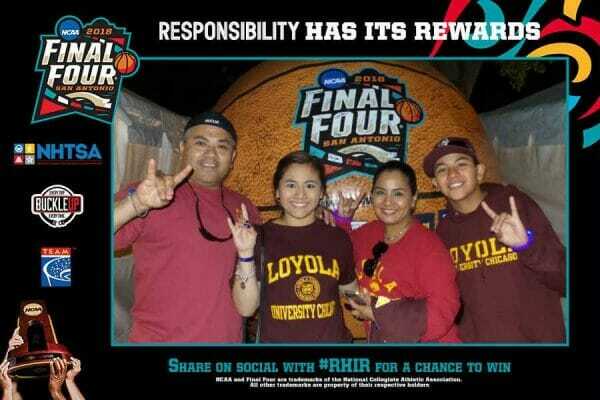 He traveled from Kentucky to San Antonio, TX and received a pair of tickets to the 2018 NCAA Men’s Final Four games on Saturday, March 31 and the championship game on Monday, April 2 at the Alamodome. The Women’s Final Four prize winner was Keith Logue. 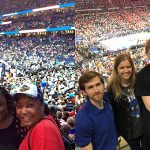 He traveled from Texas to Columbus, OH and received two tickets to the 2018 NCAA Women’s Final Four games on Friday, March 30 and the championship game on Sunday, April 1 at Nationwide Arena. 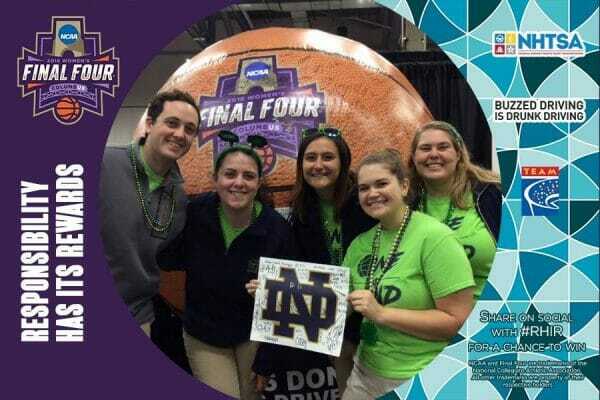 TEAM Coalition was also an on-site partner with the NCAA for all the festivities surrounding both the Men’s and Women’s Final Four competitions. 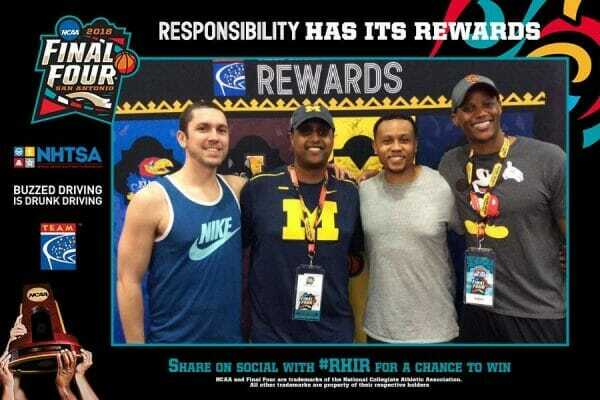 More than 2,800 fans made the pledge to be responsible at the three-day, outdoor March Madness Music Festival and the four-day indoor Fan Fest presented by Capital One at the Henry B. Gonzalez Convention Center in San Antonio. Another 1,200 fans made their pledge never to drive drunk and always to have a designated driver at the Tourney Town™ presented by Capital One at the Greater Columbus Convention Center. 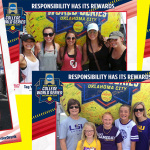 Every fan who pledged to be responsible received a free souvenir photo and a small giveaway. 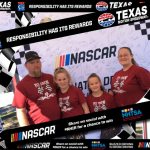 Thanks to our partnering with NHTSA, we also reminded fans over 21 years of age that “Buzzed Driving is Drunk Driving” and those under 21 were reminded to “Buckle Up Every Trip, Every Time”. TEAM Coalition is an alliance of professional and collegiate sports, entertainment facilities, concessionaires, stadium service providers, the beer industry, distillers, broadcasters, traffic safety experts and others working together to promote responsible drinking and positive fan behavior at sports and entertainment facilities. TEAM Coalition members and supporters include National Collegiate Athletic Association, the National Highway Traffic Safety Administration, Major League Baseball, Major League Soccer, NASCAR, National Basketball Association, National Football League, National Hockey League, Americrown, Aramark, Delaware North Sportservice, Legends, Spectra, Beer Institute, National Beer Wholesalers Association, Anheuser-Busch Companies, Constellation Brands, HEINEKEN USA, MillerCoors, Brown-Forman, Live Nation, National Association of Broadcasters, Contemporary Services Corporation, International Association of Venue Managers, Stadium Managers Association. For more information visit www.TEAMCoalition.org or www.FansDontLetFansDriveDrunk.org.